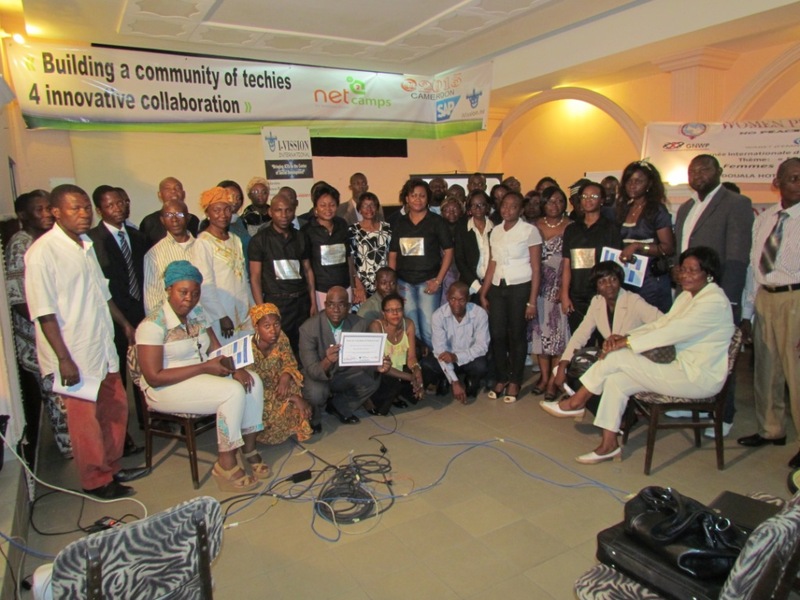 This project was launched at the time when the website of the National Assembly of Cameroon was hacked, attracting public attention on the need of a national strategy for cyber safety. Mme Cecile Ayuk, introduced us to the the audience and disclosed her intension to put in place a computer club in her school and counts on the support of NetSquared/Techsoup. This was followed by a brief presentation of NetSquared/Techsoup by SAME Grace. Excel Asama took the floor to brief the pupils and teachers on online safety using practical life stories to explain the different notions. What it takes to build a responsible digital foot print and to be safe online. They learnt how to protect their computers, email accounts and the kind of attitude to have online. The methodology used was an interactive conversation, where the pupils disclosed what they know about the Internet and the kind of sites they visit online. The teachers, watching from the right side of the classroom were amazed with the online experience of their pupils. At the end of the day, we took some videos and photos of the pupils and promised them to publish their interviews online. The website for the project is coming out sonnest. Friday, August 8, 2014 at about 1:15 pm Cameroon time a wagon of top level cops heavily armed, jumped into the Ayaba Banquet hall to stop a seminar on the theme: Promoting Net Neutrality through Multi Stakeholder capacity Building and Dialogue. To my greatest surprise, after the first training session, a host of police officers moved into the hall asking my colleague and I to follow them to the station for some administrative fixes. This is the first time since 2008 we are facing invisible walls in the field. They were acting in accordance to a prefectoral order demanding the suspension of the event after complaints from the regional delegate of post and telecommunication qualifying the event as a high security risk. After about five hours of a loaded police interrogation on the issue, we were released from the Bamenda (I) central police station immediately the investigator gave his report to station chief, a five star top level police commissioner. At the end of the day, no one could demonstrate how risky the seminar was and why it was to be suspended without any notice from the competent authorities. An anonymous cop disclosed his disagreement on the action and blamed it to external manipulation from some civil servants. He said “such regrettable incidents have been happening for some time now and will be difficult to eradicate because the police is subject to the executive”. He further advised us to always sort out “technical issues” with those concerned before carrying out such activities for the powers they have can be used at their discretion. An assistant to the regional delegate of post and telecommunications, Mr Apa, who was asked to supervise the suspension, advised us to reorganize the seminar in a later date and promised to assist in his own capacity. US EMBASSY YAOUNDE: Seminar Workshop on ICT Tools for Journalism. This two day workshop brought together journalist, techies and embassy staff in a bit to demonstrate and explore the power of publication, engaging audience online via text, audio and video storytelling, maximizing impact on news reports beyond time shifts and classical broadcasting. The training ignited the famous conversation on censorship from others and self. Should the journalist air his or her views beyond editorial lines or should he/she play the cooperate ethics game in the detriment of personal convictions? Professor Corey Takahashi, from the Syracuse University in New York took the diplomatic stand: «In journalism, 1+1=3, the best camera is what you have at hand, I don’t judge, but would let you guys know that in the US if you won’t publish for any reason, you can always pass the stuff on to a colleague…” Excel Asama, CEO of I-Vission International had a different conception from some of the participants on the theory of freedom of expression and financial dependency. He refused to take back home the opinion that “if you don’t have money, just publish what the big boys and the establishments want” he argued further that fear and ignorance are two adjacent illusions that will always obstruct a man from reaching personal convictions and that those who succeed in journalism today are independent and motivated and not dependent and oppressed. Denouncing a new form of colonization: She considers Europe as a colonized territory by the Internet magnets, arguing that this old continent has lost its grip on the Internet. In her own words mrs DESAILLY says that Becoming a ‘colony of the digital world’, Europe is largely outdistanced by this redistribution of powers. The Old Continent is even going backwards – considering the drop of top EU companies from 12 to 8. Giving political powers an upper hand on digital issues: She argues that the governance of digital issues should be better structured politically : within the Council of the European Union through specific ministerial meetings on digital technologies so as to overcome political barriers; within the European Parliament by creating special committees to examine Internet-related texts; in France, through the creation of both an interministerial Committee on Digital Technologies, reporting directly to the Prime Minister, and a Digital Committee in the French Senate whose members would also be members of a standing legislative committee.Furthermore, the European Internet model should be promoted through a proper digital diplomacy policy. What the founder of the World Wide Web, Sir Tim Barner Lee thinks of an ITU cordination of the Internet. We are wondering what will become of Africa if the Internet governance is handed to the United Nations in its present configuration with five countries dominating the world. What will be the constitution of the World council Mrs DESAILLY is talking about? we are interested to know how the members of this council will be nominated or voted and what is the guarantee of transparency. Will the outcome not be influenced by the Internet giants still from the private sector? These are just a few preoccupations I think we should ponder before giving the French proposal a chance. 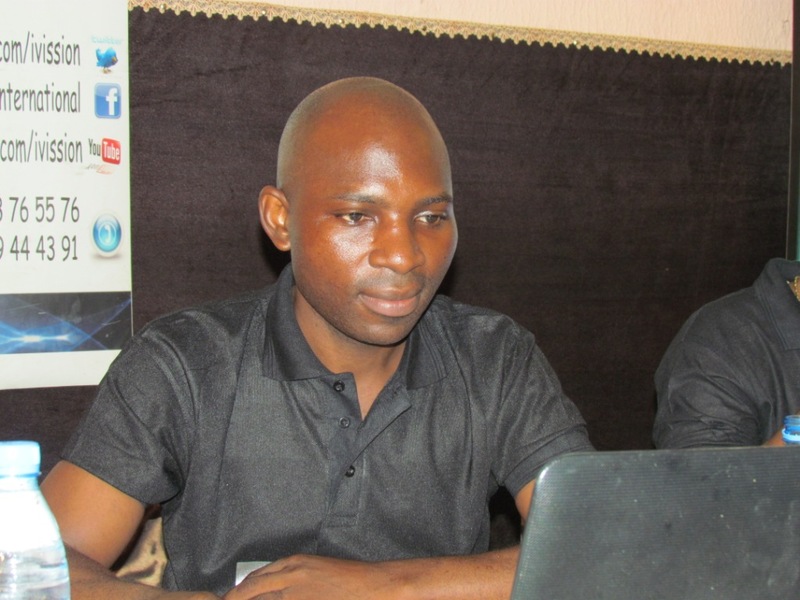 Televiewers were interested to know why the Internet bandwidth is slow in Cameroon, how can they work safely online and what are the indicators that a user’s bandwidth is either throttled or system hacked. Government officials and ISPs are not willing to make public declarations. They instead prefer to meet us in our offices for any talk. 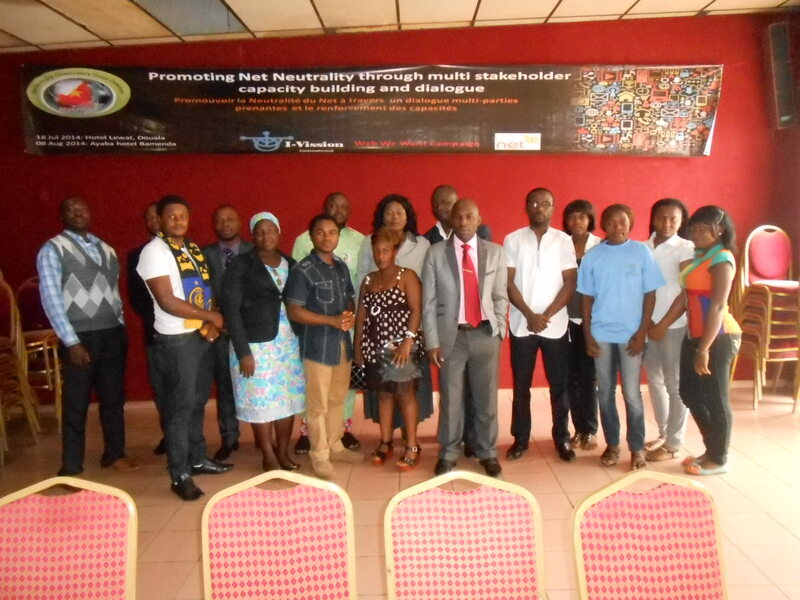 A capacity building seminar was organized in Douala-Cameroon on the 18th of July 2014 at hotel Lewat by I-Vission International with the theme: Promoting Net Neutrality through multi stakeholder capacity building and dialogue. A multi stakeholder discussion was also conducted to get the opinions of the different actors present on the challenges faced in Cameroon and how to influence policy in the interest of everyone. Georges Ndenga, a senior journalist with CRTV (Cameroon radio and Television Corporation) moderated the discussion. Forty two participants were trained on the concept of Net Neutrality including its historical background, how to detect abuse, its importance and impact if not maintained. These participants came from different social sectors including government ranks, civil society, the private sector and the media. They all came with different expectations on the issue of Net Neutrality as a concept and as a social challenge in Cameroon. Most of the trainees focused more on cyber crime which is just one of the consequences of Net Neutrality abuse. Excel Asama and SAME Grace explained the concept and explored the different forms of abuse noticed in recent years through PowerPoint presentations and live demonstration on the Internet. Almost all the participants made known to the project team that they were ignorant of the concept and especially the different forms of abuse by some Internet Service Providers and Governments. At the end of the training, they actually understood what has been happening in their networks, what their rights are and how to detect and report any form of abuse using online open source tools. Web tools from the Glasnost Measurement Lab were used as a case study to measure the performance and transparency of the network. Our aim was to verify any form of network probing or shaping and application blocking. At the time of the test, we did not notice any form of traffic shaping in the selected network. M-Lab provides the largest collection of open Internet performance data on the planet. When an Internet application doesn’t work as expected, how can you tell whether the problem is caused by your connection, the application or something else? It can be very difficult for professional network administrators, let alone average Internet users, to answer this sort of question today. Transparency has always been an essential component of the Internet’s success, and Internet users deserve to be well-informed about the performance of their broadband connections. For that to happen, researchers need resources to develop new analytical tools. M-Lab provides the largest collection of open Internet performance data on the planet. As a consortium of research, industry, and public interest partners, M-Lab is dedicated to providing an ecosystem for the open, verifiable measurement of global network performance. Real science requires verifiable processes, and M-Lab welcomes scientific collaboration and scrutiny. Participants expressed their support for the initiative and promised to translate the skills acquired in their various institutions. 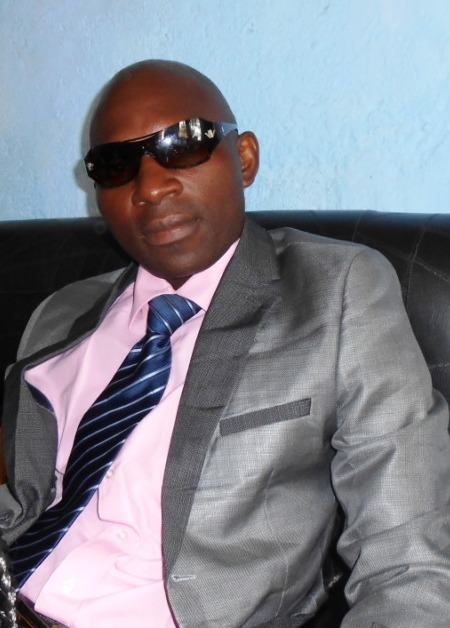 The Regional Delegate of the Post and Telecommuiation Mr Mohamadou Bassirou for his perpetual support and concern in the development of ICTs in Cameroon. He reiterated his support for ICT initiatives and the commitment of government to become a hub in the central Africa zone. More than 12000km fiber optic backbone cable network has been installed nationwide, an Internet Exchange point is currently being set up in Caltel Bepanda, Legistaltions are operating in the ICT sector in Cameroon. In a few words, Mr Mohamadou Bassirou encouraged Internet Service Providers to respect and observe Net Neutrality in Cameroon. Madam Alloumeck Christelle, representing the Regulatory board and the long list of civil society organizations who actively took part in the multi stakeholder discussion. Due to the heavy rainfall on the event day, we could not reach the expected number of participants in the seminar. It took us about eight days to get authorization from government to organize the event due to controversies surrounding the and lack of information at the local level on the importance of maintaining net neutrality. The local authorities were wondering the kind of reaction to get from Yaounde if such a meeting is authorized. At the end of the day, we had to lobby to get the meeting declared. Discuss and apply for a partnership possibility with the Glasnost Measurement Lab to set up a server in Cameroon to measure and report net neutrality abuse incidents. The web platform is effectively operational, with 1193 visits at the time of this report. Online campaign platform setup. We designed an email mailing list made up of 1750 subscribers through MailChimp for Weekly Newsletters and articles on the project. The Facebook page and twitter hashtag for the project are functional. We will gear up from the 8th of August when the last capacity building seminar will be organized. At that time, the Net Work Observatory Group must have been set up with clear goals and roles to play by individual members. The evolution of the Internet governance ecosystem has been very challenging since the installation of the open standards as method of governance and development. These principles stand to be the best method of governance as of now though it has gone through a lot of challenges and controversial situations from some stake holders involved. Politics and the quest for power: The founding fathers of the Internet never thought of a platform that is dominated by politicians and power mongers of different forms. The Snoden sting is just an example to show case the interest politicians have in using the global Internet platform to have an edge over the others. This quest for info power and control over others play a vital role in shaping the evolution of Internet Governance in the coming years. An invisible stakeholder has been introduced into the governance platform (secret spying agents). The impact this stakeholder has on the governance structure is very important. Many users are scared away from the platform. People feel more unsecured online than offline. The risk of a global conflict between nations and continents is more and more visible. The Internet governance is gradually sliding off the hands of the three in one governance (government, civil society and private sector) to a three plus one formula, the invisible actor. Business and the neutrality of the net: Another factor that is shaping the evolution of the Internet in a negative direction is the perpetual violation of internet neutrality by businesses for the purpose to make huge benefits. Considering the above challenges listed, I personally have the take that the evolution of the Internet governance will be at risk if the multi stakeholder method of governance is not respected and reinforced. It is the only method of governance that guarantees equality in the governance structure. The shaping of the Internet future will depend on how each stakeholder is reminded on its role and limits in the management of platform resources. Should one stakeholder go beyond limits, then the others must be strong enough either to sanction to get him or her back to normal in a reasonable time limit. The multi stake holder guiding principles of Internet governance play a major and productive role in the delegation of new top level domain by ICANN. This has been very instrumental in the whole process. 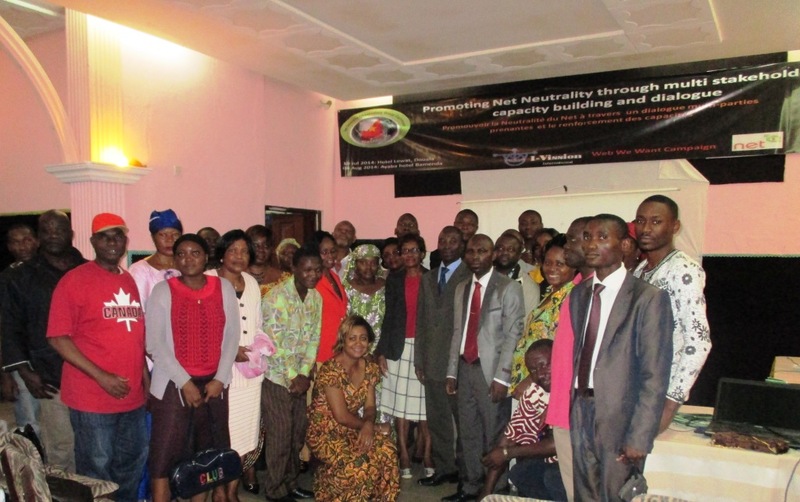 A capacity building seminar was organized in Douala-Cameroon on the 18th of July 2014 at hotel Lewat by I-Vision International with the theme: Promoting Net Neutrality through multi stakeholder capacity building and dialogue. Forty two participants were trained on the concept of Net Neutrality including its historical background, how to detect abuse, its importance and impact if not maintained. This is one in a series of seminars to be organized in a project funded by the Web we Want campaign. Excel Asama saluted the presence of the Regional delegate of the Post and Telecommuiation Mr Bassirou for his perpetual support and concern in the development of ICTs in Cameroon. The project manager of www.ici.cm platform, Marc Ngiamba was also part of the show. Donations of softwares and ICT resources etc. Later in the afternoon, I visited AGRO-HUB, an NGO owned by Valery Kolong, one of the first members of Netsquared Cameroon. We exchanged many good things together. One of the key attractions was the giant 11Kg yam I found in his Agro Mart. Talking about ICTs, I noticed the use of Open Source Technology by AGRO-HUB to manage its point of sales, accounting etc. BarCamp Cameroon is one of the annual gathering of passionate individuals from all fields of the digital and technology society: entrepreneurs, enthusiasts, bloggers, journalists, activists and students. It’s a meeting of forward-thinking minds coming together to discuss the myriad opportunities and challenges we face in this technological era. BarCamp is dubbed a “non-conference” because of its informal format and on-the-spot scheduling. Still, quality discussions, stimulating interaction and a trade fair-like atmosphere are some of its hallmarks. 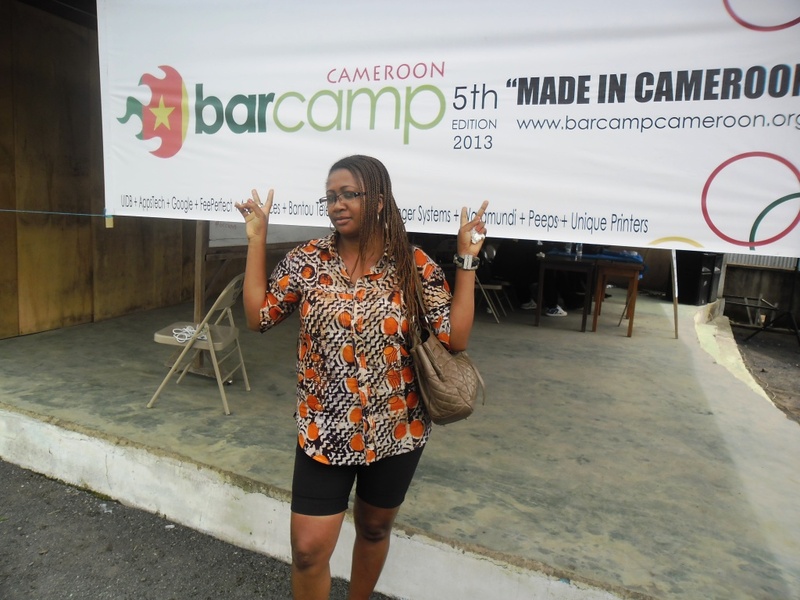 We see BarCamp as a combining platform between Cameroon’s tech and civil society, geared at addressing grand issues of the day. We believe that it’s time to showcase all the great and innovative projects that have been developed in Cameroon. We want to break down the barriers between the tech community and the general public. This BarCamp will be dedicated to putting all of Cameroon’s best startups on the map, creating discussions for new projects and just spreading the do-it-yourself spirit of entrepreneurship. “Made In Cameroon” doesn’t only speak of the projects that have been developed within the nation, but is also a reference to the African-in-miniature values that went into the creation of these initiatives. Collaboration, community and openness will be buzzwords that will come up constantly at this year’s BarCamp Cameroon edition. In regards to the twin elections in Cameroon, September 30, 2013 the president of I-Vission International, Excel Asama will be monitoring the flow of information and incidents on the field (www.preventiontalk.com ) on one hand and on the other hand, he will be observing the twin elections in Cameroon under the banner of the European Union.